Grekodom Development is the largest real estate company in Greece. We offer you something that is unlikely to be offered by others – to develop a unique individual project. 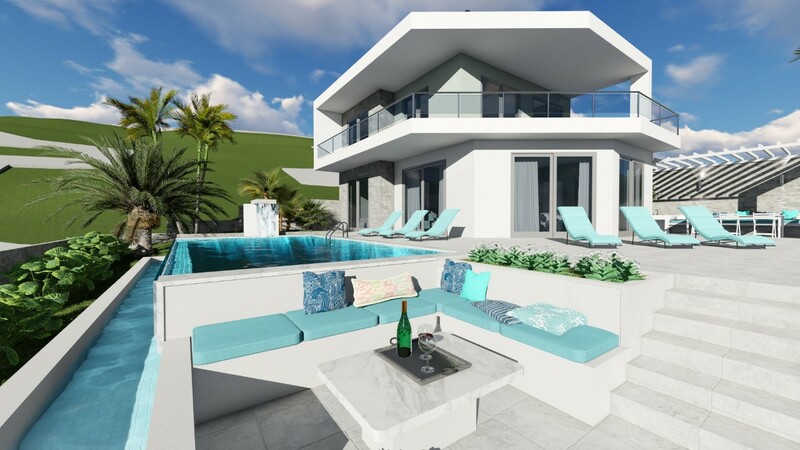 According to your wishes in the area of Kriaritsi, picturesque and quiet area of the peninsula Sithonia, we not only will design, but also will build from the ground up the house of your dreams.Make a present to yourself and your family to live in an amazing place, full of ancient legends and traditions. Sea, sun and incredible Greek energy will fill your life with appeasement. Design of residential buildings is a multilateral process that requires in-depth knowledge, experience and professionalism. 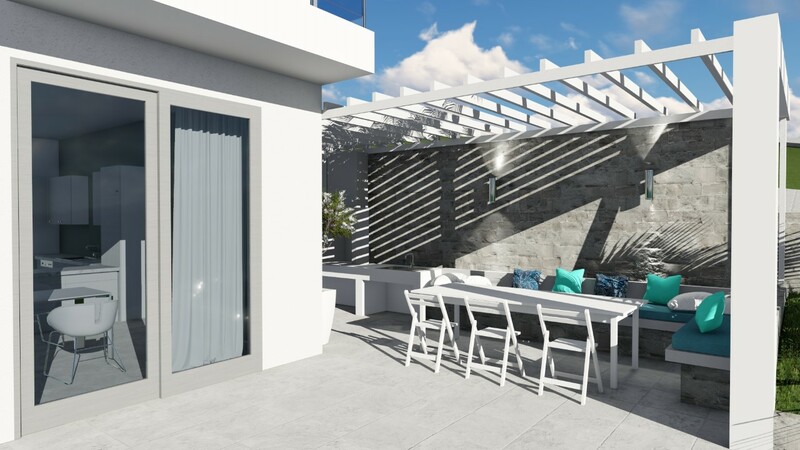 Only with the architectural and construction project the construction of a residential house or making alterations to the existing one can begin. In Grekodom Development you can order the design of residential complexes and commercial buildings. Both types of work include multilateral processes for the preparation of architectural and construction project. We design not only the property itself, but also the general utilities: heating, electricity, water supply and drainage, air conditioning and ventilation. The design and subsequent construction are carried out in strict accordance with the regulations. 577.5 hectares of the total area of Kriaritsi are allocated for infrastructure, and about 150 hectares – for construction. Each plot has an area of 500 sq.m. The owners of plots of land can build houses of any style, taking into account only some of the general requirements for the external architecture. On most plots, it is possible to build a house with a semi basement floor with a total area of 250 sq.m. and a large swimming pool. In addition, the house can have balconies and galleries with a total area of 48 sq.m. 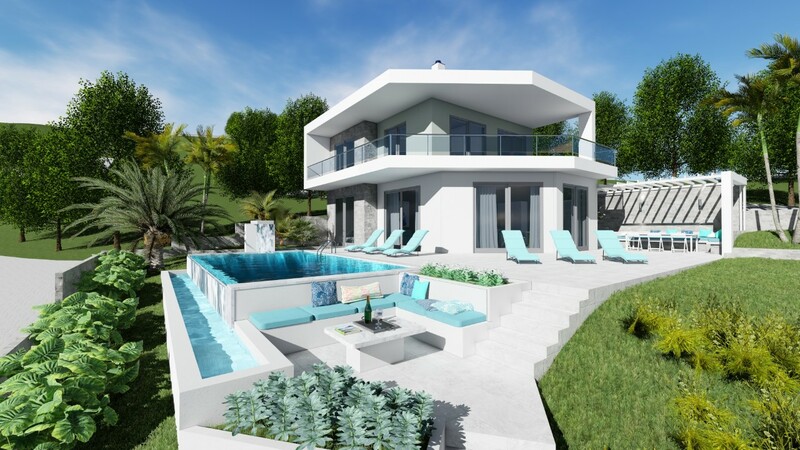 We have already begun the design and construction of some residential properties. 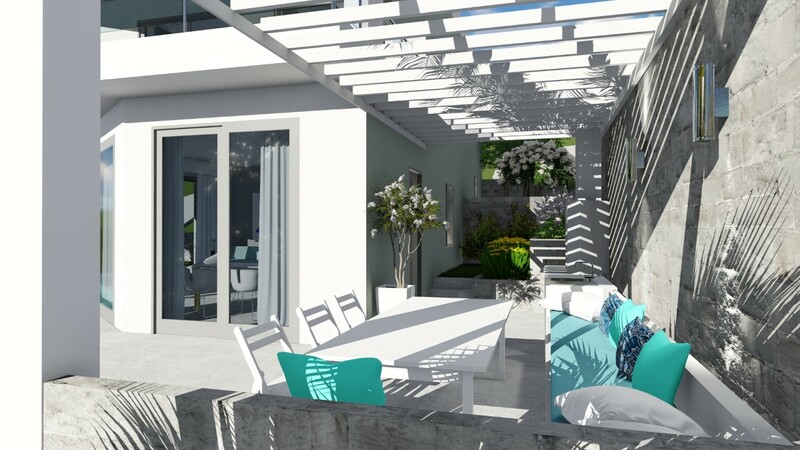 Maybe it will be your home that will become a true architectural decoration of Kriaritsi! This three-storey villa has a total area of 210 sq.m. On the ground floor there is a kitchen, a living room with a fireplace and a dining room, as well as a guest room and a bathroom. From the main area on the ground floor there are several exits to the terrace and an open air summer kitchen with a BBQ. On the second floor there is a master bedroom, a children’s bedroom and a bathroom, in the basement there is a billiard room, a sauna, a hammam, as well as a bedroom with a bathroom. This two-storey villa has a total area of 155 sq.m. On the ground floor there is an open-space room that consists of a kitchen with a living room and a fireplace, as well as a guest bedroom with a bathroom. 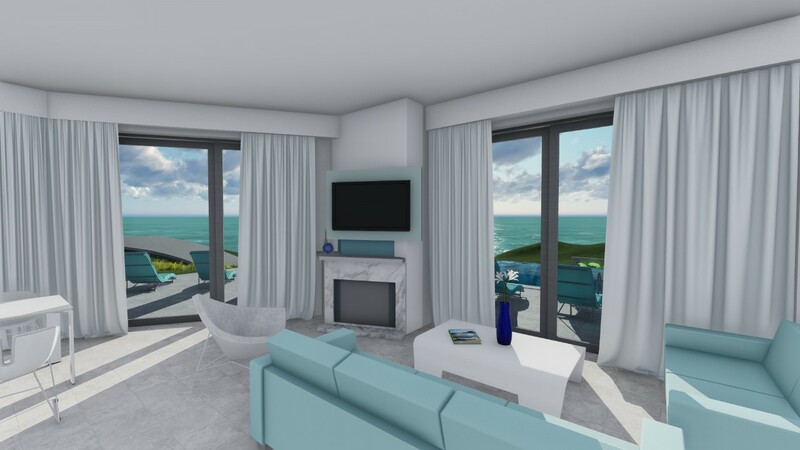 On the second floor you will find two bedrooms, each with its own walk-in closet and bathroom. 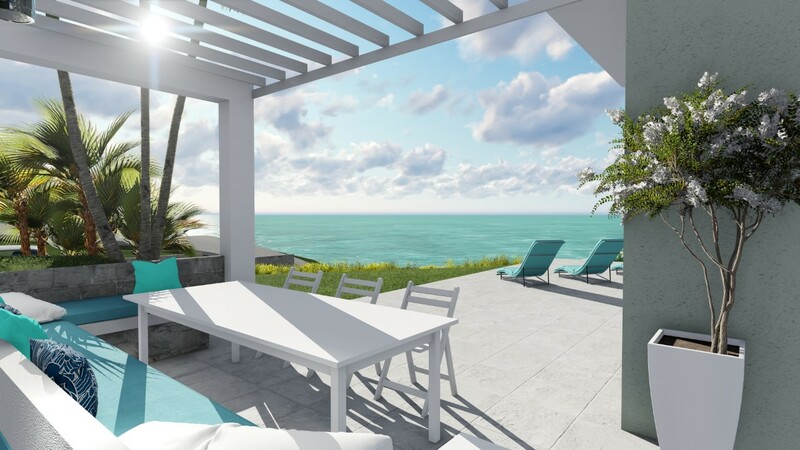 The bedrooms offer panoramic sea views and access to a spacious terrace, which partially covers the open-air summer kitchen on the ground floor, with a sitting area and a BBQ. The residential building is located on the hill in Kriaritsi. Using this individual natural topography, the house has spectacular views of the sea and Mount Athos. Adhering to the Mediterranean architecture, the residential complex consists of stone surfaces, arches, wooden components and earthly color. At the front entrance to the site there is a parking place with a shed of pergola. Also on the plot there are a barbecue area and a swimming pool of 30 sq.m. The rest of the area is being improved with greenery and blends harmoniously with the local nature. 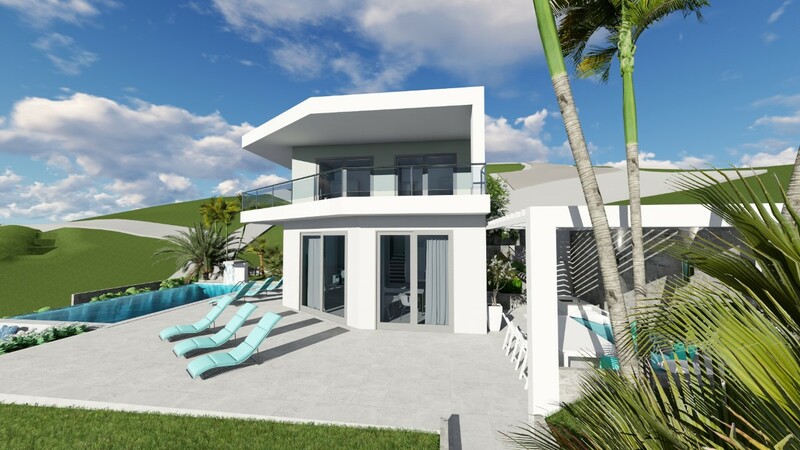 The house consists of two levels, first and second floor: The main entrance to the house is on the second floor where there are two bedrooms, wc, staircase and a huge balcony with sheds of the pergola. Total area: 42.5 sq.m. On the first floor the main zones are placed: bedroom with wardrobe, kitchen, dining room and living room with access to the veranda. Total area: 77.5 sq.m. A two-storey house with a total area of 144 sq.m., comprised of a spacious living room, a dining room and a kitchen, united by one common space, as well as a bedroom, a bathroom and a storage room, located on the first floor. On the second floor there are 3 bedrooms, with access to a balcony and a shared bathroom. The facade of the house overlooks Mount Athos, while all the rooms offer panoramic sea views from their large windows and doors. The plot has parking for a car, a summer kitchen with a barbecue, an aroma-garden, a swimming pool with overflow. Close to the pool there is a lounge area where you can enjoy wonderful views of Mount Athos while engaging in a conversation with those swimming in the pool. The overflow channel is located close to the lounge area, this way the element of water cools the surroundings and creates a special atmosphere of relaxation. A one-storey minimalist house with a total area of 100 sq.m., comprised of a kitchen, a living room and a dining room in one space, as well as two bedrooms, a bathroom and a wardrobe. The master bedroom has its own bathroom with sea view. All rooms have a wonderful view with access to a balcony. There is also a small basement, to house the boiler room and storeroom. The two-storey villa has an area of 130 sq.m. On the first floor there is a spacious living room, dining room, kitchen, bathroom. On the second floor there are 3 bedrooms with a bathroom. There is a vanishing edge pool, as well as a parking lot will be equipped. The two-storey villa with surface of 150 sq.m. On the first floor there is a spacious living room with a double-lighted space, a dining room, a kitchen, one bedroom and a bathroom. On the second floor there are 3 bedrooms with private bathrooms and balconies. The master bedroom has panoramic windows with a magnificent view of Athos, as well as a bathroom with sea views. 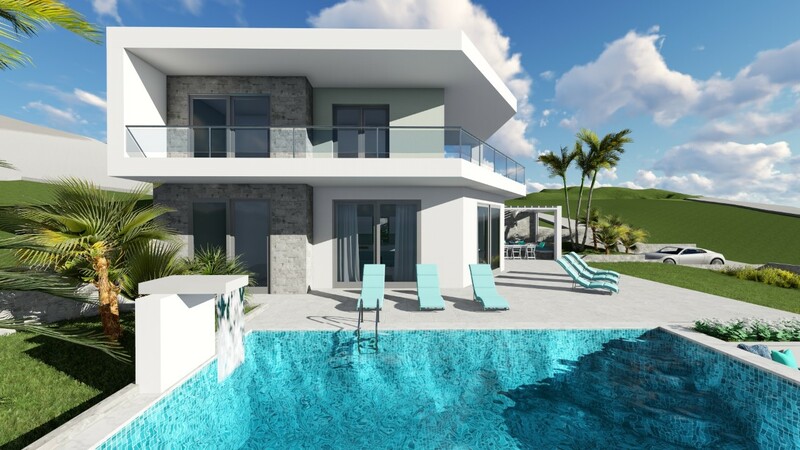 On the site there is a swimming pool with jacuzzi and overflows, a comfortable sofa area near the pool, organized grounds and green area, a parking space at the entrance to the site. Grekodom Development company is part of the MOUZENIDIS GROUP of companies and is one of the largest development companies in Greece. From the day of its establishment the company has been successfully completing various projects in the commercial and residential real estate sector, becoming one of the leaders in the Greek market. Our company, with its versatile operations, specializes in the sale, construction and development of real estate throughout Greece and Cyprus.